The need for support of the agency’s programs is ongoing throughout the year. The wide range of Spring Dell’s programs allow for ample opportunities to engage with program participants and staff, supporting the agency’s mission and providing experiences that change lives. Just take a look at the many choices below to see where your interest lie. If you don’t see what you’re looking for, just contact Angie Keesee for more information on how we can match your interests with our needs! If you would like to volunteer, please take a few minutes to fill out our Online Volunteer Application. Click HERE to fill out an online application. Whether you are ready to volunteer your time or just looking for some small way to help, there is one thing you can do immediately to help…..
Do you know someone who owns a business and may have an open position? We will work with hiring managers to provide loyal and qualified staff to join your team. Learn more about our customized employment approach or the benefits you can receive by diversifying your workforce. Do you want to support Spring Dell’s programs, but don’t know where the need may fall? A general donation allows Spring Dell to utilize funds for our greatest needs such as program and services costs. Spring Dell holds various events throughout the year which encompasses different sponsorship levels. We welcome new and existing donors to join us as these events grow year to year! All donors will have an opportunity to be recognized by event attendees as well as featured throughout the event in programs, advertisement and/or signage depending on the sponsor level chosen. One time donations and designated gifts allows you to select the area you would like to make the most impact. It could include a particular program, an opportunity you would like to see come to fruition or a piece of equipment. Many individuals we support need the assistance of equipment for daily functions and physical training. Donations for specific equipment provides individual with the costly tools that help them gain mobility and independence. Your contribution will be used in the specified area of your choice. The holidays are a perfect time to give back to the community through a meaningful monetary gift that supports Spring Dell’s services and programs. Spring Dell has joined #GivingTuesday, a global day of giving that harnesses the collective power of individuals, communities, and organizations to encourage philanthropy and to celebrate generosity worldwide. Occurring after Black Friday, Shop Small Saturday and Cyber Monday, #GivingTuesday is held annually on the Tuesday after Thanksgiving. It is intertwined in the kick-off to the holiday giving season, inspiring people to collaborate in improving their local communities and give back in impactful ways to charities and causes they support. Visit our Giving Tuesday page or click ‘donate’ on the left of this page to get involved at any time. Remember to designate #GivingTuesday as your purpose for giving. Memorial contributions allow family, friends, and acquaintances to express their condolences with the positive action of supporting Spring Dell’s programs and services. Spring Dell will make every effort to honor the wishes of any donor who chooses to give anonymously. Individuals wishing to give a defined gift over a period of time can do so through the gift commitment form. This form is not legally binding but serves as documentation of commitment to make a gift. Bequests are gifts made through a donor’s will, living trust, or estate plan. Individuals who have included Spring Dell in their estate plans will be included in the Legacy Society and will be recognized during legacy and/or donor events and acknowledged on the website. To include Spring Dell in your will, look at the options below. If you have already named us in your will, please let us know so we may thank you and welcome you to the Legacy Society. If you would like to support a specific area, program or need within the agency, you should clearly state the intended purpose in a manner that the agency is not limited when gifts are applied. If you would like to designate your gift, please add the information below. Donate to Spring Dell at your work through the United Way payroll deduction campaign. It’s quick and easy. Get started by making a difference in your community, contact the United Way of Charles County at 301-609-4844 or at their website www.unitedwaycharles.org. They will be happy to help. 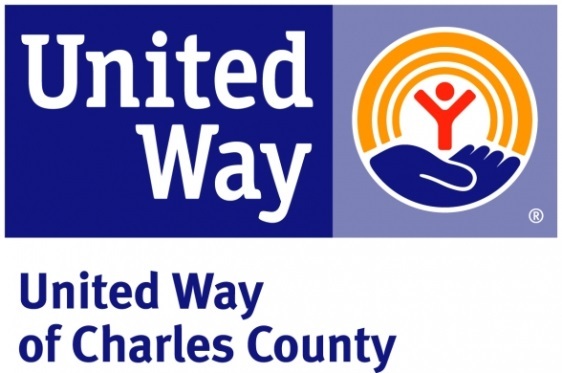 Spring Dell is an active member of the United Way of Charles County. The MCC provides you with the opportunity to reach out and touch the lives of those in need; to sustain local, state, national and international health, educational, environmental and human service organizations; and to make a meaningful contribution to your community. State employees and retirees may contribute to charitable organizations in an orderly and uniform process through one annual campaign. Donate to Spring Dell at work through the Maryland Charity Campaign by using #520853629. 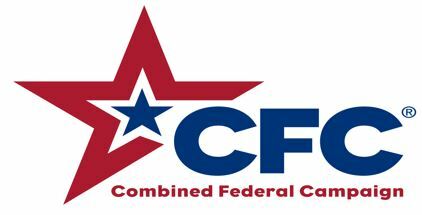 The mission of the CFC is to promote and support philanthropy through a program that is employee focused, cost–efficient, and effective in providing all federal employees the opportunity to improve the quality of life for all. CFC is the world’s largest and most successful annual workplace charity campaign, with more than 300 CFC campaigns throughout the country and internationally to help raise millions of dollars each year. Pledges made by Federal civilian, postal and military donors during the campaign season (September 1st to December 15th) support eligible non–profit organizations that provide health and human service benefits throughout the world. Donate to Spring Dell through the Combined Federal Campaign by using #65269. Some employers offer a Matching Gift Program that allows donors to partner with their employer to match their donation. Check with your employer to see if this program is in place at your workplace or how to get one started. Have you ever received a gift card to a store or restaurant that you never plan to visit? Now, you can use that unwanted gift card to impact real change towards the programs Spring Dell provides for adults with disabilities. Gift Card Giving, allows donors to turn gift cards valued at $5.00 or more into funds towards causes donors care about. Visit our page http://www.giftcardgiving.us/spring-dell-center-inc to learn more and donate! Policy: It is the policy of Spring Dell to accept vehicle donations, in good condition and in accordance with IRS regulations and guidelines. Procedure: Spring Dell accepts vehicles that are in running condition; where the body is in good shape and the vehicle is not more than ten (10) years old (antique automobiles or classic cars are an exception). Vehicles must be in resale condition. The Director of Transportation may make exceptions to these conditions. Vehicles will only be accepted with a valid title and Security Interest Filing, if needed. Spring Dell shall issue a receipt showing acceptance of the donated vehicle. Upon sale of the vehicle by Spring Dell, a completed tax receipt will be mailed, within thirty (30) days of sale, to the donor. This tax receipt shall indicate whether the donor may deduct the Fair Market Value or other allowed tax donation amount, which is the amount Spring Dell receives for the vehicle. Spring Dell shall comply with IRS Publication 4302.